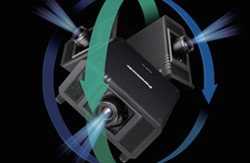 PT-RZ21K and PT-RQ22K projectors are equipped with an innovative cooling system with no filters. This unique Panasonic technology delivers real maintenance-free operation and also copes with smoke used in staging environments. The improved DMD block has its own heat pipe cooling system inside a second chamber which is fully sealed and where no outside air can enter.This extra air chamber makes sure the vital parts of the projector have their own air source which can’t be affected by outside conditions and by dust. Thanks to this efficient construction the projector is also safe to be used in smoke conditions. 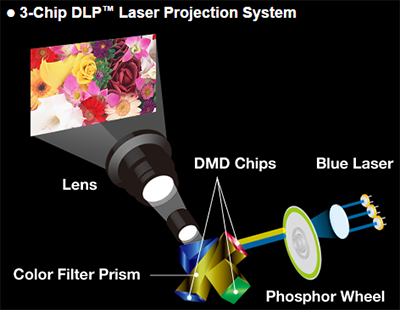 -Optics such as the DMD block, the laser and phosphor wheel were protected from smoke. * In dustier environment, more severe conditions or for use of oil-based smoke, we recommend to use a service filter to help reduce shut-down risk due to the potential accumulation of dust inside the radiator. 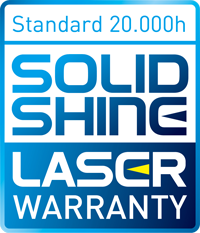 Panasonic is offering an extended standard warranty of 20,000 hours – effectively covering the full lifetime of the laser light source of the projectors. You can look forward to consistently low running costs with maintenance-free, continuous and low-temperature operation for your whole projector; with no need to replace the light source or air filter. 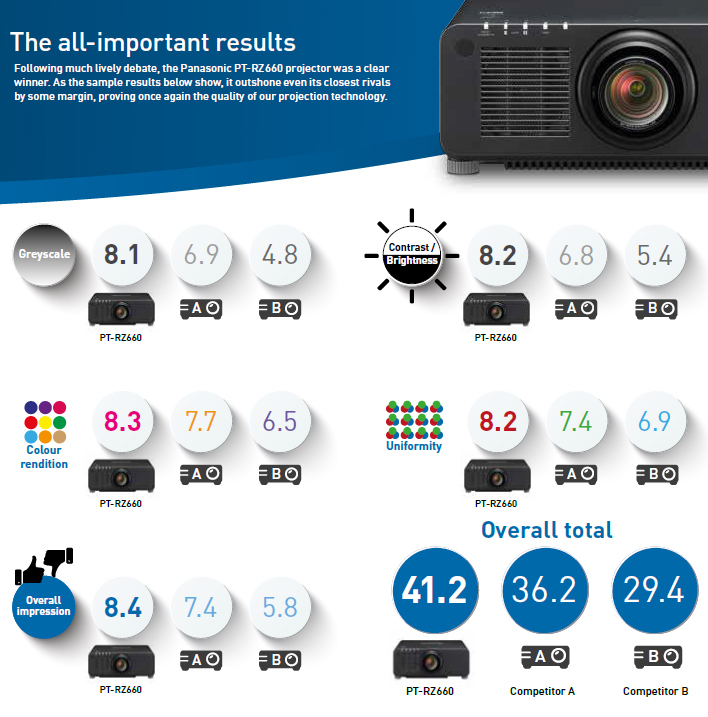 In the blind test, organised by UK systems integrator Pure AV, 6,000 lumens laser projectors from Canon, Christie, Digital Projection, Epson, Panasonic and Sony were assessed by industry professionals from sectors including education, health and enterprise at the Victoria Warehouse, Manchester. The shootout assessed uniformity, brightness, contrast, colour reproduction and greyscale, with the 1-chip DLP™ Panasonic PT-RZ660 taking first place with a score of 41.2 out of 50. 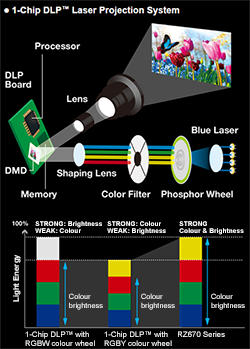 All manufacturers were required to use standard lenses and content was run from a single laptop and distributed via HDMI using identical length cables. Pure AV staff covered all projectors with a cabinet to ensure the judging was based solely on image quality.